Everything was in alignment. Mazda, BP, Yokohama, Castrol, and the crew and drivers of B-K Motorsports had all contributed their heart, souls, sweat, and time into bringing a fast race car to Sebring for the 56th annual 12-Hours of Sebring race. No one could have predicted what was to come on the second flying lap of Qualifying on Thursday. My teammate Ben Devlin was just entering Turn 1 on his second flier when somehow the car snapped left into a neck straining oversteer. Ben did everything he could to make the car go straight, but it pulled hard left into the concrete wall at the apex of the corner. In the next instant, air got underneath the chassis, picking Ben up like a paper airplane and tossing him straight across the surface and into the outside tire wall. The car was destroyed, but thankfully, Ben was not hurt. Even before the car had returned on the wrecker to our paddock space, the team was unloading the spare tub. I couldn't believe my eyes. Here was this painfully ruined race car, and our incredible B-K Motorsports crew taking ownership to rebuild a brand new car from a spare tub. In the time that ensued, a new car was built from scratch in 24 hours. We made it through tech inspection on Friday just before it closed. Afterwards, the crew continued to prepare the car for a 12-hour race the next day. Most teams were putting the finishing touches on their polished race cars. We built a new one. The team even applied every bit of color, BP, Castrol, Mazda, and other partner logos all in place in time for the morning warmup. On Saturday morning Ben took the new car on track for the warmup session. Sure, there were a few issues that cropped up as they always do with a newly assembled car, but it ran great. We returned to our paddock to complete our preparations and fix the few issues. That's when we discovered a fuel leak. It was surreal watching the crew tear into this car to find the leak. Our engineers were all involved, including support from our chassis manufacturer, Lola. They were trying to save our race. Finally, we ran out of time. The leak could not be fixed before the 1-hour time cutoff in the series rules. We had to do at least one lap before one hour of racing elapsed. There were tears everywhere. In the aftermath, our team assembled for a meeting where every partner took the time to thank every member of the team for giving every ounce of energy they had over the previous six days. It was in this moment that I felt the collective energy of my team in a way never felt before. Our team had grown in strength and come closer together through adversity you couldn't dream up. We are extremely excited about our next race, coming up on April 5th at the downtown street course in St. Petersburg, FL. Join us in person, or on ABC at 1:30 PM Eastern time. Each of us has a story to tell. We all have a few special components of our lives. Family, friends, and doing something special with our time on this earth. As kids, we tell our parents we want to be astronauts, firefighters, actors, doctors, professional video game testers, or similar. As we grow older, our teachers, family, and friends shape us into who we are today. I had some amazing teachers in my life. I'll never forget how my English teachers taught me the importance of communication. It would be many years before I understood their lesson. I'll also never forget the lesson taught to me by George Hopkins of the Cadets Drum and Bugle Corps who always told us, "If you get up and go to work every day, it will all work out." It is with tears in my eyes that I write to you today to share with you that it has indeed worked out. My greatest dream has come true. 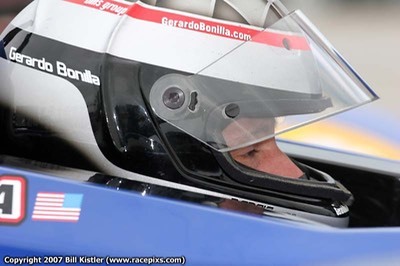 I have been hired by Robert Bach, owner of B-K Motorsports, to drive the BP Mazda LMP2 prototype in the American LeMans Series. I also grow my relationship with Mazda, a company who's products I have driven on the street and race track for 14 years, and start a relationship with Mazda's valued partners, BP, Castrol, and Yokohama. I join with a phenomenal co-driver in Ben Devlin. The two of us will campaign the entire American LeMans season, while Raphael Matos, a Champ Car Atlantic and Star Mazda champion, will join us for the longer races at Sebring and Atlanta. The journey to this day began 18 years ago, the day I first drove a go-kart. 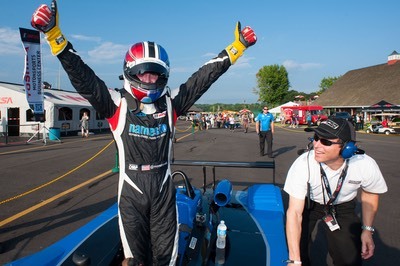 It would be many years of waiting before taking the Skip Barber 3-Day Racing School, and again many more years before ever driving in one of their races. I filled the time with autocrossing and the occasional kart race. A few driver search competitions placed me near the top, but never enough to earn scholarships. I knew nothing of sponsorship. 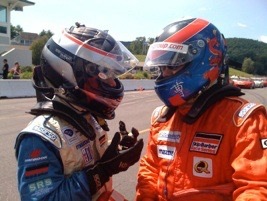 One day, on the advice of a great friend named Nort Northam, I joined Skip Barber as an instructor. My life changed forever thanks to the learning I gained as a teacher, and by surrounding myself with the highly experienced race drivers who worked there. I found ways to raise the support needed to compete in the Skip Barber's Regional series, and then three seasons of Skip Barber Nationals. 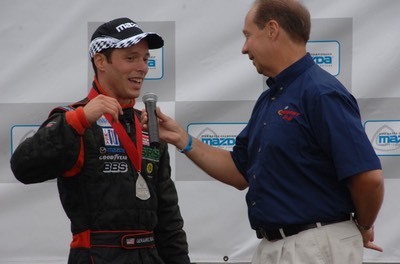 Season 2 of Nationals was the infamous one where I spun off the championship to Marco Andretti. You never forget a lesson like that, and with that confidence, won the National Championship in 2005. There was never a doubt in my mind I wanted to go to Star Mazda and chase the Mazda Ladder System. 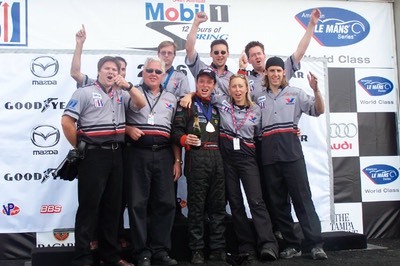 In 2006 Star Mazda was a roller coaster ride of many important lessons, winning the opening race, then fighting through a season of highs and lows to finish 6th in points. 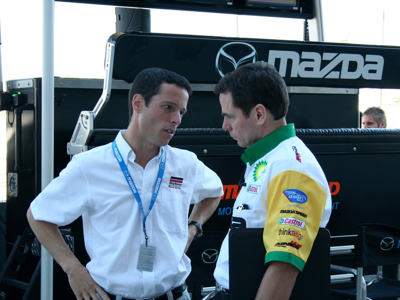 In 2007, at the last minute, I signed with B-K Motorsports to run their IMSA Lites car, also powered by Mazda. I learned a great deal more winning this championship by working with the team in a capacity beyond just driving the car. I have found balance in life, racing and teaching. I choose to teach, and will continue to teach, because it balances the raw war of competing at the pro level. I love racing and teaching equally. I would not do one as well without the other. The list of names of people I wish to thank for helping me get here is too long for this email. But, I must thank God for strength and guidance, my family for their unconditional love, my friends for always being there when I need them most, my coaches for telling me exactly what I needed to hear at just the right time, my students for working hard and trusting me, my teammates and crew for their endless work, and my investors who took the risk and paid the incredible cost of tuition to shape what I am today. And of course, thanks to Robert Bach, John Doonan, Robert Davis, Mazda and its partners for trusting me. 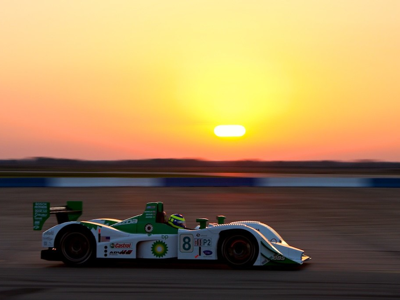 Come and see the BP Mazda Team race this coming Saturday, March 15, 2008 at Sebring! Or catch us on SPEED Channel, with a green flag at 10:05 AM Eastern time!